Is my Last Will & Testament from the US or Canada valid in Mexico? Good question. So take your Will to a Mexican lawyer and discuss it. Be sure that the Spanish version created matches your wishes. Keep both the original Will and the Mexican Will for your executor or executrix. And how does the executor handle things in Mexico? Be sure the lawyer reviews for you what your executor can or cannot do. 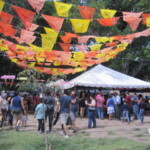 Property in a Mexican Trust. The principal reason for a Mexican Will is that property in Mexico is often caught outside of trust arrangements: automobiles, jewelry, objects of art, business interests. Also intestate laws (when there’s no Will) in Mexico are not always favorable to surviving spouses and seldom distribute property the way the decedent would have liked. If you have property in Mexico and die without a Will, the state courts will look to their civil code to determine disposition of assets. However, if absolutely all of your property in Mexico falls under operation of law or contract, then a Mexican Will may not be required. For example, if you hold property in a Mexican Trust, the trust document will determine who inherits the property. Another good example is bank account(s) with beneficiary designations. In either case, the property so designated will avoid probate. Are US and Canadian Wills valid in Mexico? Back to the original question: are US and Canadian Wills valid in Mexico? Yes. However, getting the US and Canadian instruments recognized here can entail a relatively lengthy and expensive process. In the case of US documents, these need to be apostiled and notarized in the US, and these documents need to be converted into Spanish by a court-approved translator before the file is brought to the Notario, who will initiate probate. Apostils are not issued in Canada. Therefore, a Mexican Will generally provides for a quicker transfer of assets to the heirs in a more cost-efficient manner. Mexican Wills are also valid in the US and Canada. However, for ease of administration if property is owned in those jurisdictions, an appropriately executed document should be prepared in the US or Canada. As an example, Mexican Wills do not contain the signature of the testator (the person making the will), and this can cause delay in having the document accepted in jurisdictions of common law. 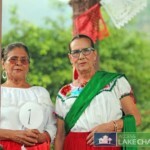 Rights of survivor and Property in Mexico? There is no such thing as rights of survivorship in Mexico. Where property is owned 50/50, when one partner dies, an undivided half will be transferred according to either the decedent’s Will or to state intestate provisions. If the couple does not have a Mexican Will and they have children, it is probable that the surviving spouse will be disinherited. Most couples will want to have a Will for this reason alone. The executor or executrix is the person in charge of locating the property, preparing an inventory, paying all debts, and is generally in charge of administering the estate and supervising the transfer of title. Some Mexican states require that the executor post a bond. When possible, the executor should live in Mexico or be given the power to hire a Mexican representative. After a person dies, Probate provides the legal process for transferring title to those properties that do not transfer some other way. 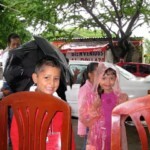 If there is a Will, probate in Mexico is generally carried out in private at a Notario’s office. If there is no Will, if the Will is contested, or if there are guardianship issues, the Mexican courts get involved. Court proceedings are private matters and only interested parties would be able to consult the court’s proceedings. Taxes and Costs involved in a Mexican Will. Does Mexico have an estate tax or deemed disposition rules? No. There are neither estates taxes nor deemed disposition rules. However, the settlement of an estate still has expenses to deal with: attorney and appraisal fees, transfer taxes, bonds, etc. Is it expensive to draft a Mexican Will? You get what you pay for. A simple Mexican Will can cost anywhere from $150 USD to $600 USD. Are other estate planning documents recommended? A Mexican Durable Power of Attorney would come into effect upon disability of the person who holds title to the property and allows decisions to be made affecting property in Mexico. Medical directives should also be prepared to give caregivers an idea of the level of health care that is desired, including periods of incapacity. While the medical directive is not legally binding in Mexico, it does provide the caregiver guidance at a critical time. This document is especially important when the person is not married and is dependent on family, doctors, friends and neighbors for care. 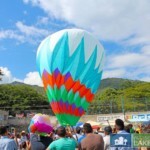 Is Estate planning available in Mexico? 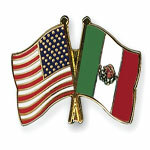 Estate planning, as we know the concept in the US and Canada, is not available in Mexico. In most states, when a foreigner who does not speak Spanish goes to a Notario to prepare a Will, he or she is told to handwrite a testament, which is then translated word for word. If you do speak Spanish, you tell the Notario what you want and your wishes are given legal form. The problem with this is that, too often, little thought is given to the complexities of an estate plan, especially international estates: family relationships, ancillary probate processes, US estate taxes, survivorship issues, special planning situations, etc. 1. Make sure that you know what your Mexican Will says. If you did not write it and do not understand Spanish, have it translated. Review your Will today. 2. 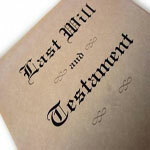 Mexican Wills often revoke any prior Wills either explicitly or implicitly. 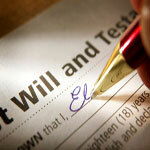 Prior Wills are explicitly revoked with a revocation clause. If there are prior Wills and the Mexican Will is silent on the matter, the Mexican Will revokes all prior Wills by operation of law. Sometimes this is not the testator’s intention. 3. Coordinate your estate plan so that all your Wills work to achieve your goals. 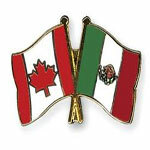 A Mexican Will should cross- reference any US or Canadian Will, and visa-versa. 4. Have your estate plan reviewed by a competent party with expertise in international estate issues. 5. If your only Will is a Mexican one, and you own property abroad, it is recommended that you include a residuary clause – that’s a legal term that provides a cluster of special protections. While residuary clauses make no legal sense in Mexico, and Notarios often do not want to include them, they are important in the US. Failure to include a residuary clause may result in having some assets, at least in the US, distributed pursuant to intestate laws. In addition, taxes will be paid in the US from the residuary unless specifically directed to do otherwise. a) Simultaneous Death Clause. This is used in the event that both spouses die simultaneously and provides the presumption that one spouse predeceased the other. b) Testamentary Clause. These are used to direct the executor to create Mexican, US or Canadian trusts. c) No Contest Clause. These are used to discourage heirs from contesting the Will. d) Letter of Intent. Often times we do not want to clutter a Will with unnecessary details. These details are better placed in a letter of intent, which will be invaluable in guiding the executor as to your wishes. Furthermore, because there is no such thing as a codicil in Mexico, every time you want to change your Mexican Will, you need to draft a new document. Instructions and bequests of personal property can effectively be placed in a letter of intent, making it easy to change your mind later. 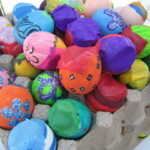 Summing it all up, unless all of your Mexican assets are held in a Mexican Trust, the relatively small cost of having a Mexican Will is money well spent for the peace of mind gained from knowing your wishes will be carried out with nothing left to chance or to the unique provisions of Mexican laws. Who do you recommend for helping with my Will in Mexico? 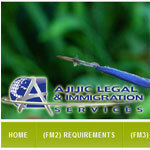 Access is based in Lake Chapala Mexico and we recommend a Legal & Immigration office based in Ajijic, they specialize in both Wills and Immigration, they are called “Ajijic Legal and Immigration Services”. 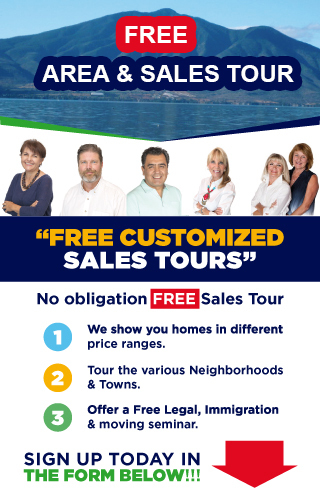 They have helped hundreds of Canadians and Americans who live in Lake Chapala with their visas, legal work and assistance on all the correct documentation and procedures required to establish a proper and legal Mexican Will.